Mauricio Pochettino says his Tottenham Hotspur team must learn the art of a “winning habit” from Juventus as they aim to move on from this week’s painful Champions League exit. A 2-1 loss at Wembley to the Italians ended a memorable European campaign 4-3 on aggregate and much has been written since about Tottenham’s lack of silverware under Pochettino, despite impressive progress since he became manager in 2014. Pochettino was already focussing on Sunday’s important trip to Bournemouth in the Premier League when he spoke to media on Thursday. But Wednesday’s emotions were clearly still raw. “I think we are all disappointed. Still disappointed. Of course yesterday was worse, today was a little bit better and I’m sure tomorrow better still,” Pochettino said. 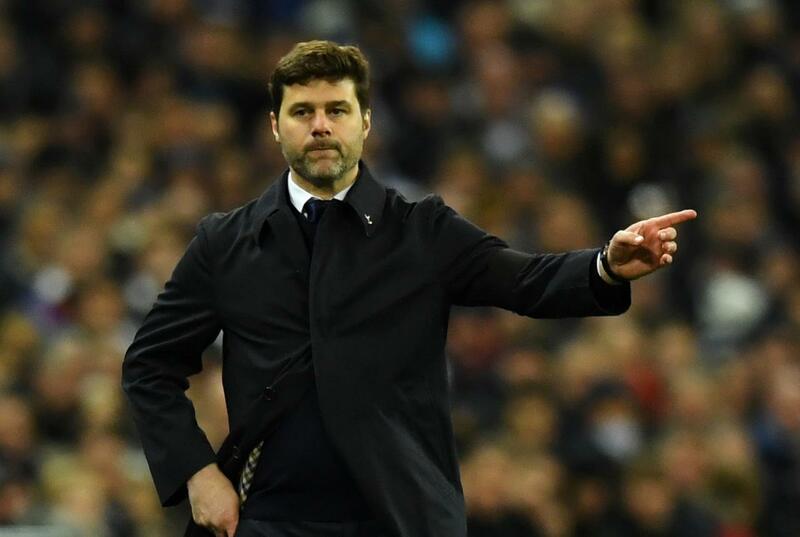 While Pochettino spoke of the serial trophy-winners in Juventus’ lineup that had ultimately made the difference, he also highlighted the off-pitch psychology he witnessed by the Italians at a packed Wembley. “I think it’s a massive situation that you must learn from,” he said of Tottenham’s first defeat in 18 matches. “If we only see the stats from the two games, Tottenham was the much better team. Then in football it’s not only about better performance, stats, shots on targets or have more possession. It’s small details. “I think Juventus are specialists, they have the habit to win, the habit to put pressure on the referee. The owner stayed in the corridor, the tunnel before the game. Tottenham can ill-afford any hangover against Bournemouth on Sunday if they want to keep some distance between themselves and Chelsea in the race for a top-four spot. They are fourth, five points ahead of the Blues. Tottenham are also in the quarter-finals of the FA Cup with an away tie at Swansea City. The FA Cup represents a chance for Pochettino to win his first silverware for the club, and he was asked again on Friday how important it is for him to provide a trophy. “Of course we are so close but the last step is always the most difficult step,” he said. “I think the most important thing is that we are showing we are able to compete. “The obsession thing is never good. The most important thing here is the basis and everything that we are doing is always with the objective to win, to win trophies. “If you ask me or the players, we’d love to win a trophy and dedicate to the fans for what they are waiting for. In the same way, the club is doing a fantastic job to create the facilities to be close to win titles.